[Markets] Why Isn't Assange Being Charged With "Collusion With Russia"? ...because then they would have to prove it! So...I have a few questions. Don’t get me wrong: I don’t think there is any basis for a criminal investigation of Senator Sanders. But there appears to have been no criminal predicate for a “collusion” investigation of Donald Trump, either - not a shred of public evidence that he conspired in the Putin regime’s hacking, other than that presented in the Clinton-campaign-sponsored Steele dossier (if you can call that “evidence” — though even Christopher Steele admits it’s not). Yet, Trump was subjected to an investigation for more than two years — on the gossamer-light theory that Trump stood to benefit from Moscow’s perfidy. Why hasn’t Assange been indicted for criminal collusion with the Kremlin - the same hacking conspiracy for which Mueller indicted the Russian operatives with whom Mueller says Assange collaborated? But now . . . here comes Assange. He has always insisted that Russia was not WikiLeaks’ source. I don’t believe him. I see him as a witting, anti-American tool of Moscow. But, to my chagrin, some in Trump’s base - not all, but some - have made Assange their strange bedfellow, just as many libertarians and leftists embraced him when he was exposing U.S. national-security programs, intelligence methods, defense strategies, and foreign-relations information. These Trump supporters have convinced themselves that raising doubt about Russia’s culpability exonerates the president — even though the special counsel has already cleared Trump, regardless of what Russia (and Assange) were up to. To sum up: If the Justice Department had indicted Assange for collusion, Mueller’s Russian-hacking indictment would no longer stand unchallenged. 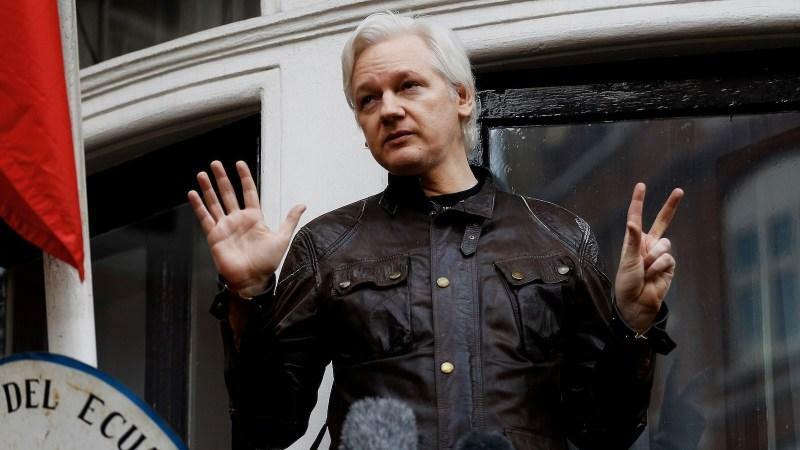 Assange would deny that Russia is behind the hacking, and prosecutors would have to try to prove it, using hard, admissible courtroom proof - not top-secret sources who cannot be called as witnesses without blowing their cover, or other information that might be reliable enough to support an intelligence finding but would be inadmissible under courtroom due-process standards. If the prosecutors were unable to establish Russia’s guilt to a jury’s satisfaction, it would be a tremendous propaganda victory for the Kremlin, even if - as I believe - Russia is actually guilty.